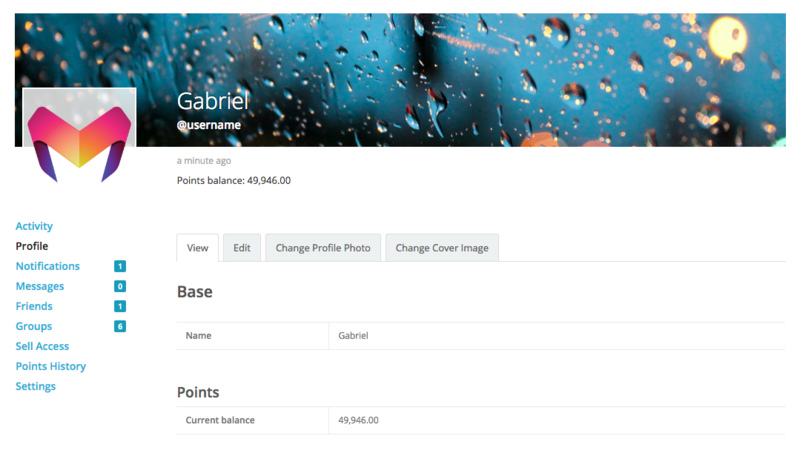 myCRED has built-in support for BuddyPress since version 1.0, allowing you to display your users point balances in their profile along with their points history. 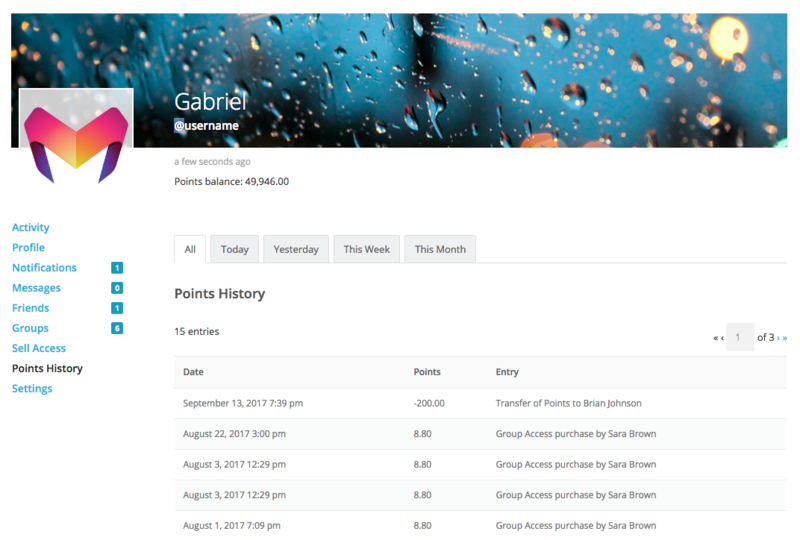 You can select if users can view each others balances or points history. You can select to show a users balance in their profile header, their profile page or both. Users can easily access their history directly from their profile.